A career criminal is spending 25 years to life in prison for robbing, he claims, up to 100 people. 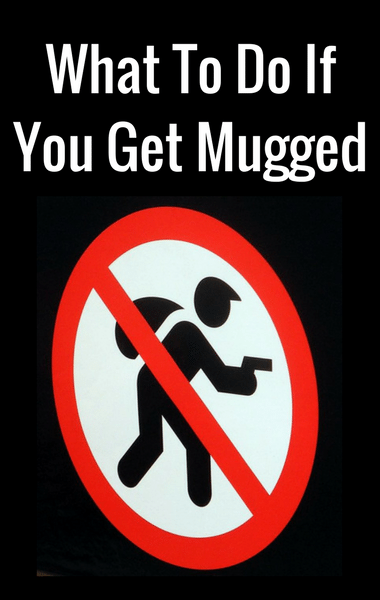 There are over 300,000 muggings a year while people are riding bikes, on the train, or even just getting out of the car in their own driveway. So how can you protect yourself? NBC national news investigative correspondent Jeff Rossen went inside a maximum security prison to find out how you can avoid becoming a victim. Jeff sat down with David, a career criminal, who was willing to sit dow with Jeff to tell all, starting with how muggers strike. David explained that if he were looking to rob someone on the street, he would walk up to them and ask them for the time. The moment someone looks at their watch, they’re vulnerable. He could grab them by the wrist, slide it behind their bike and tell them “you know what this is, I’m not going to hurt you” while using his other hand to grab their wallet. If someone comes up to you and asks you for the time, you’re better off giving it to them from a distance or continuing walking. Don’t break your stride or stop walking.